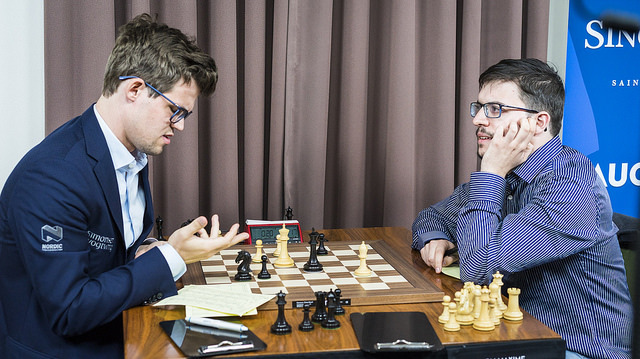 The last clash between Magnus Carlsen and Fabiano Caruana before their World Championship match now looks set to take place this August in the Sinquefield Cup, after Magnus accepted an invitation to be the wild card for the Grand Chess Tour’s only exclusively classical event. Rapid world no. 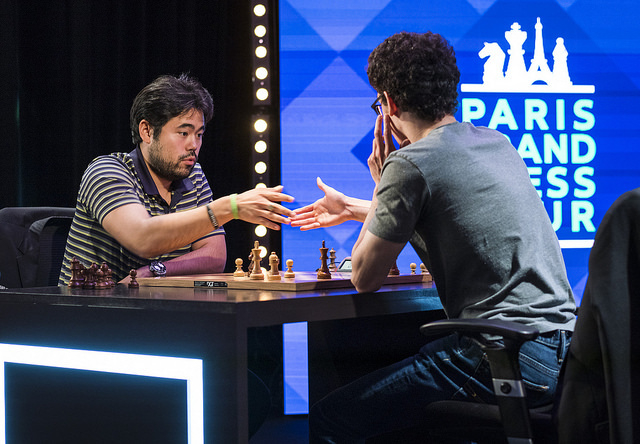 3 Leinier Dominguez will again be a wild card for the St. Louis Rapid and Blitz, but this year he won’t be joined, as far as we know, by Garry Kasparov. The recent Leuven and Paris Grand Chess Tour events were sadly missing the World Champion Magnus Carlsen, although Malcolm Pein revealed that the focus on short, fast events this year had partly been in order to try and encourage him to take part. 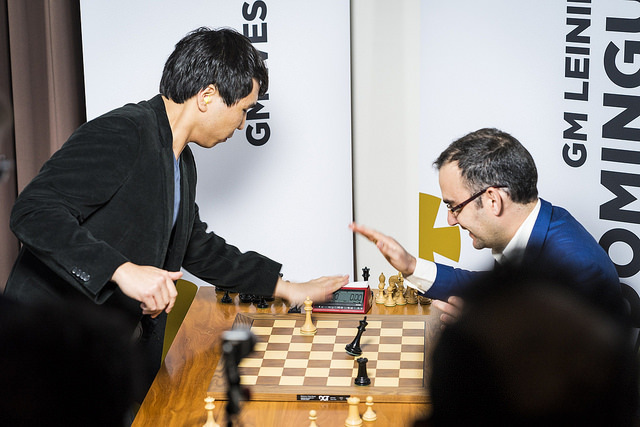 It’s a World Championship year, however, and this time all five events – assuming Magnus qualified for the London Chess Classic finale – were obligatory for all the regular tour players. Magnus chose not to commit to that schedule, while Fabiano may have wished he’d pulled out after he finished 2nd last, above only wild cards Anish Giri and Vladimir Kramnik, in both Leuven and Paris. That means the confirmed events for the World Championship duo are as follows, with Fabiano the busier of the two. It’s possible Magnus will play in the Olympiad as well on top board for Norway, in which case another clash with Caruana can’t be ruled out, while both might also potentially play in the European Club Cup in Halkidiki, Greece from October 11-19. The match itself is scheduled for November 9 - 28. The other remaining Grand Chess Tour wild card is for the St. Louis Rapid and Blitz, and it’s gone to Leinier Dominguez, who continues to be a Cuban player on the FIDE database but has been resident in the US for a couple of years now. He finished 6th as a wild card in last year’s St. Louis Rapid and Blitz, two places above a certain Garry Kasparov. This year, with only one wild card, it seems there’s no hope of us seeing the 13th World Champion back in action. …before getting outplayed in the 10 and 5-minute games. After Paris, Leinier is ranked no. 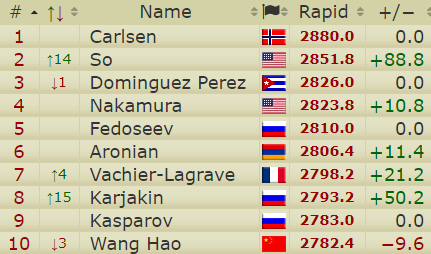 3 on the rapid live rating list behind Carlsen and So, and it's still not impossible that he'll replace Ray Robson on the US Olympiad team. To see all the upcoming events check out our 2018 Chess Calendar!